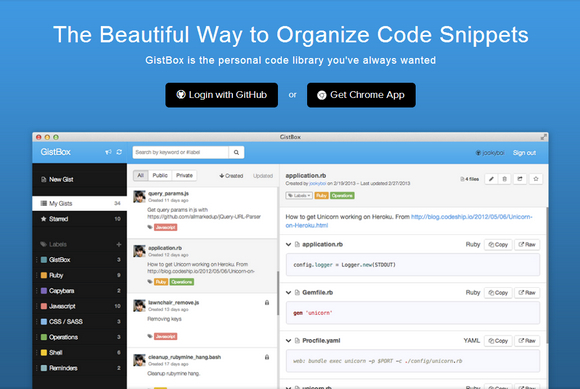 GistBox is the beautiful way to organize code snippets. Your library is saved to the cloud for backup. Never worry about snippets getting lost in the shuffle. GistBox was built on standard HTML5 technologies. On the go or at the office, you’ll always have GistBox. GistBox uses GitHub’s backend but adds its own layer of label and search functionality. It was designed to be a curated, personal snippet library – like long term memory for the practicing software engineer. Multiple instances of GistBox will sync with each other in realtime. Change code once, see it everywhere. It currently only supports modern versions of Chrome, Safari and Firefox. All posted code belongs to the poster and no license is enforced. Dabblet itself is open source software and is distributed under a NPOSL-3.0 license. you can fork dabblet on github as well. 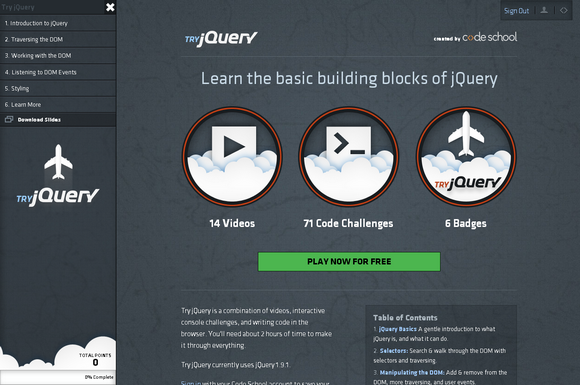 Try jQuery is a combination of videos, interactive console challenges, and writing code in the browser. You’ll need about 2 hours of time to make it through everything. There is a gentle introduction to what jQuery is, and what it can do. It tells you how to search and walk through the DOM with selectors and traversing. Add & remove from the DOM, more traversing, and user events. Listen for events, handle them, and change the default event behavior of web browsers. 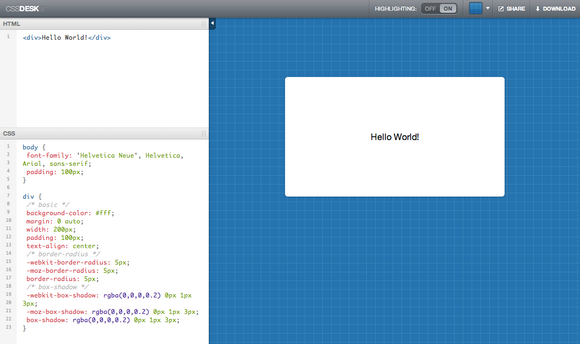 Before landing, tame CSS with jQuery and animate elements on the page. This article recently appeared on BuildNewGames.com, a collaboration by the teams at Bocoup and Internet Explorer. It is authorized to publish on WebAppers. At Bocoup, my colleagues and I often laze about in antique leather armchairs, sipping Mai Tais, waxing rhetoric about important issues-of-the-day including international politics and automatic semicolon insertion. One thing I find fascinating is how people working on different types of projects have different wisdom to share: best practices for jQuery plugins are different than those for Facebook apps, and tips for Backbone.js ecommerce sites may not be useful when developing real-time strategy games. What I’d like to share in this article is some code organization tips and tricks I’ve learned while making HTML5 games. I’ve tried to keep them as generally useful as possible, but you’ll definitely get the most out of this if you make games like I do. 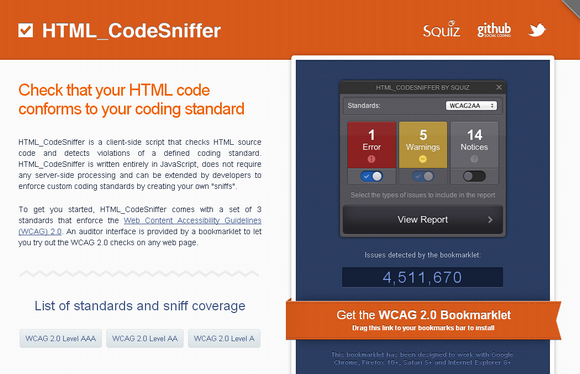 HTML_CodeSniffer will provide a list of known and potential violations to the calling script. It also comes with a pop-up auditor interface, accessible via a bookmarklet, letting you browse through messages emitted from one of the defined standards. 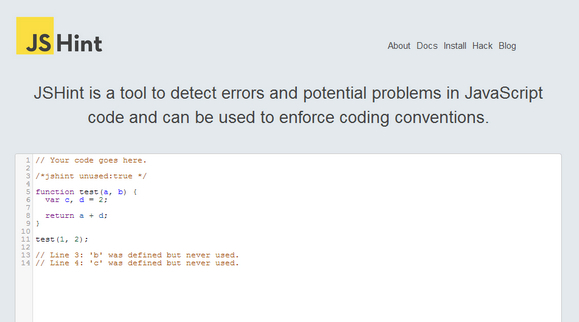 Where possible, the auditor also points you to the HTML element causing the problem. HTML_CodeSniffer is released under a BSD-style licence. CSSDesk is an Online CSS Sandbox. 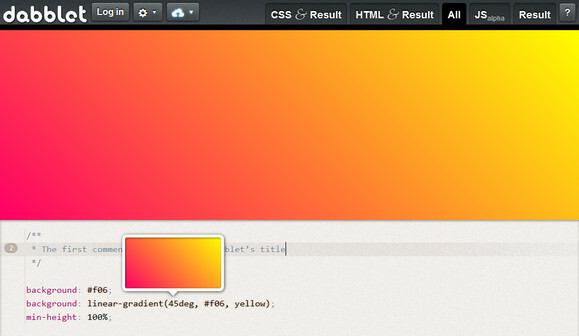 It allows people to quickly test snippets of CSS code, and watch the result appear live. 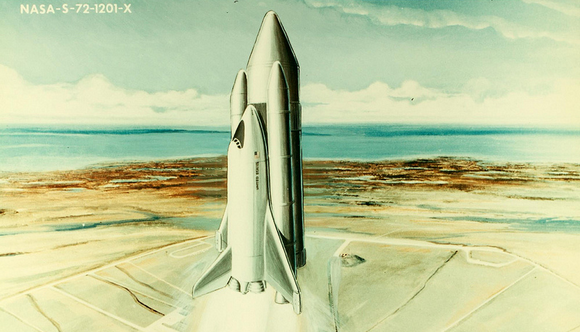 I had very high ambitions for the project. There are line numbers and syntax highlighting appear live in the text box as you type. One of the greatest things is that it allows users to share their code with others as well. 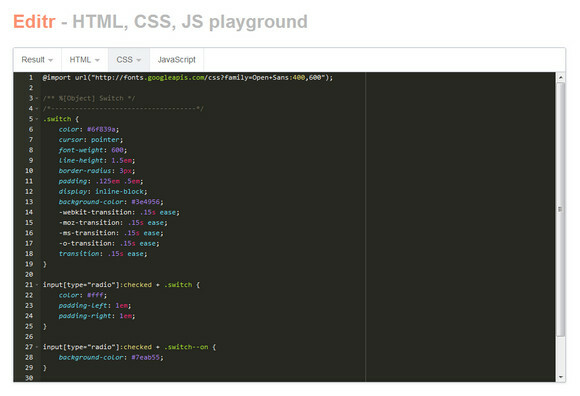 And also, if you haven’t heard about Google’s Code Playground, it’s a web-based tool that lets web developers try out all of the APIs that Google provides, tweak the code, and see the results. Google’s Code Playground lets you play around without opening an external editor, and all of the APIs are loaded for you in the Pick an API box. 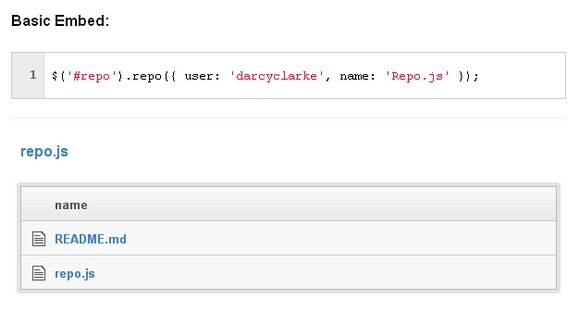 Repo.js is a jQuery plugin that lets you easily embed a Github repo onto your site. 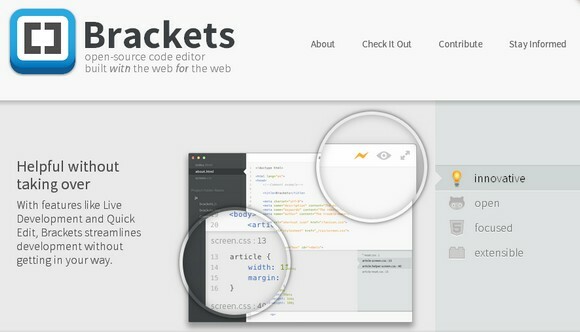 This is great for other plugin or library authors that want to showcase the contents of a repo on their project pages. Repo.js uses Markus Ekwall’s jQuery Vangogh plugin for styling of file contents. Vangogh, subsequently, utilizes highlight.js, written by Ivan Sagalaev for syntax highlighting. Instead of cluttering up your coding environment with lots of panels and icons, the Quick Edit UI in Brackets puts context-specific code and tools inline. With Live Development, Brackets works directly with your browser to push code edits instantly, set breakpoints, and jump back and forth between your real source code and the browser view.